Hello Winnie & Walter fans, welcome back to our 3rd Day release preview. 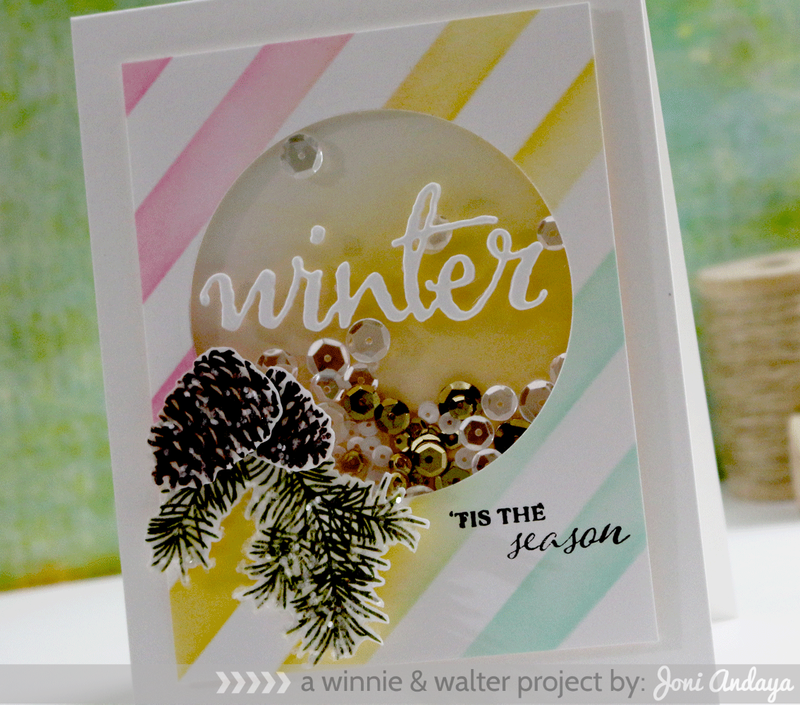 For my project I am showcasing a simple card I made using the Happy Christmas stamp set. This card can easily be duplicated for the upcoming holiday. To begin I stamped the wreath image first then highlight it with olive copic marker. Next, I stamped the sentiment at the bottom from the card in black ink. Then, stamped the deer image inside of the wreath with gold embossing powder, just give it a gold effect when it hits the light. 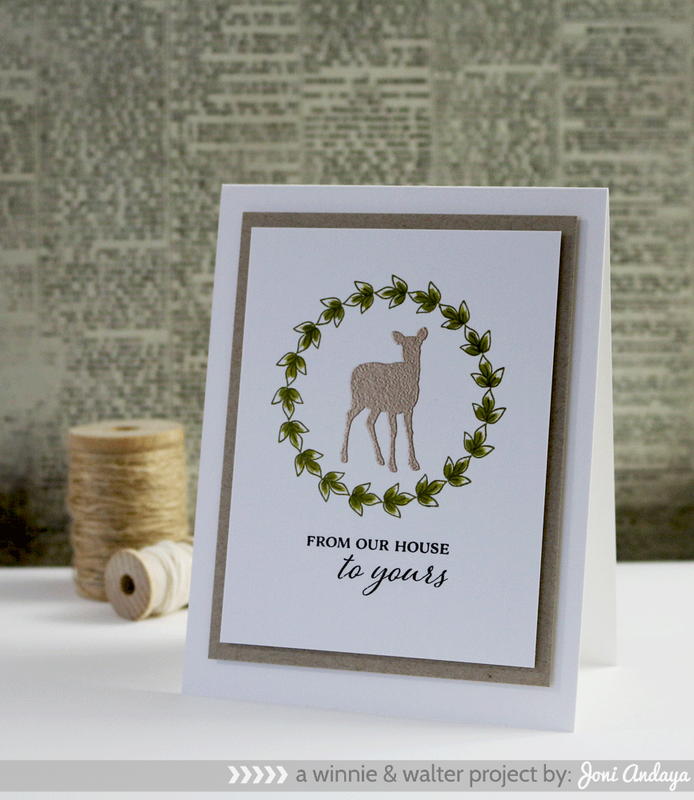 For my second card I created a shaker card using the Cutaways (die-cut) from The Big, the Bold and the Merry in (winter) and the images are from Winter Woodland (pine cone & bough) & the sentiments ('tis the season) are from the Happy Christmas stamp set. I also use the Creative Screening Scenery: Classic Diagonal for the panel for the shaker. For the sequins I used the Pretty Pink Posh in all sized in Sparkling Clear and Gold. Gorgeous cards. My absolute favorite is the shaker card with the pine boughs. Absolutely beautiful! I love both cards so much. I am always inspired by you. Hope your day is awesome! Both of your cards are absolutely amazing! LOVE the gold embossed deer, so pretty and elegant. Oh, these sets look wonderful! Beautiful cards, Joni! These are gorgeous, Joni! Love! What beautiful, easaly duplicated cards. Thank you for the inspiration. These stamp sets are just beautiful! Hi Joni! 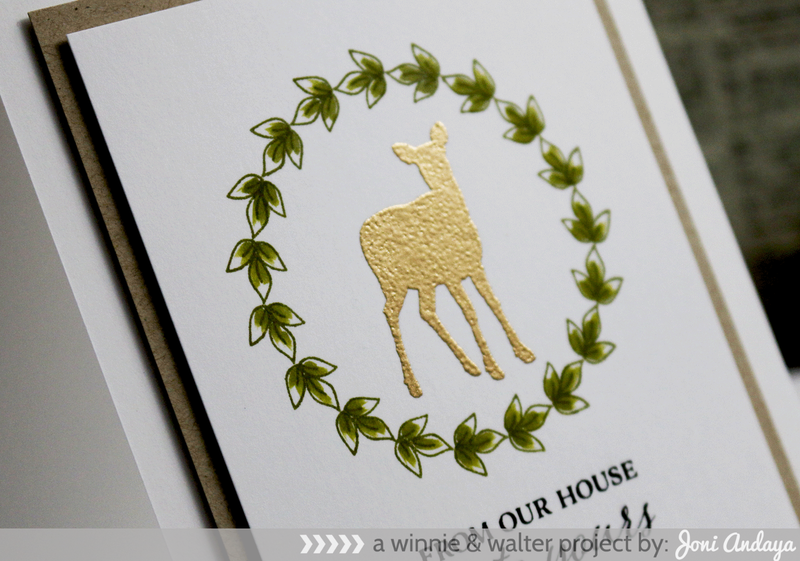 I love both your gold embossed deer card and the shaker card. I really need to get started on mine. With each card you make I get more and more excited about this release. You amaze me! 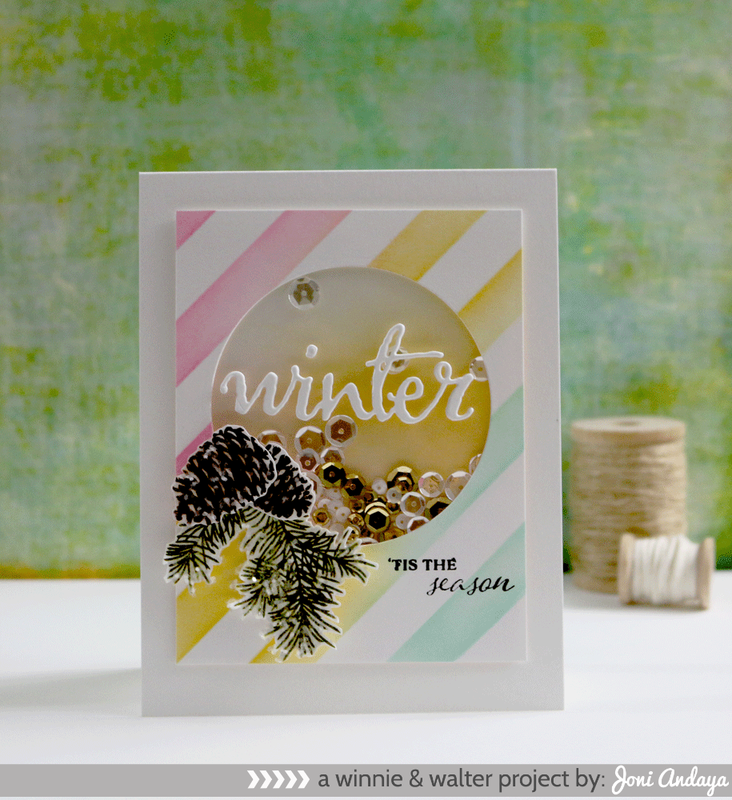 Altenew October Release Blog Hop!